April is Autism Awareness Month- what exactly is autism and why is awareness of the disorder so important? Keith’s personal journey and the family’s experience with autism. How sports play a part in learning more about the disorder. Who are some of the teams, athletes and organizations involved with autism? The resources families can utilize if they suspect they have a child with autism. A bit about the Autism MVP Foundation and upcoming activities. Accomplished marketing communications pro; dynamic speaker, storyteller, teacher, and mentor. Non-profit founder and leader. From the hardwood of the NBA with the Philadelphia 76ers to the asphalt racetracks of NASCAR with Richmond Raceway to the inspiring stories behind the world’s superlatives with Guinness World Records, Keith Green has more than two decades of sports and entertainment-focused integrated marketing communications experience. 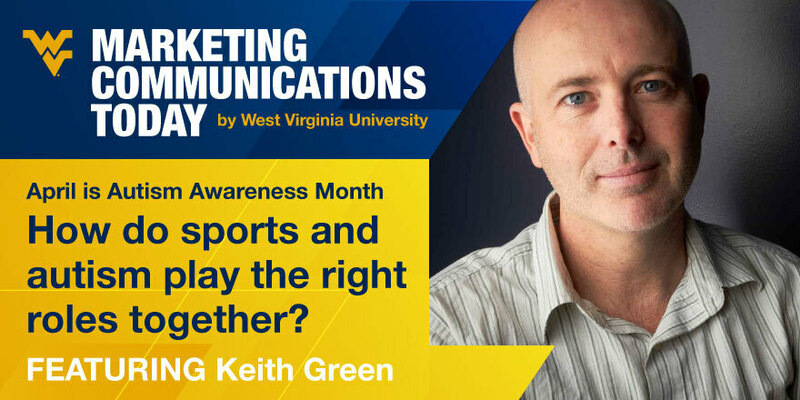 Keith is also an accomplished speaker, presenter, and storyteller has shared his experience at dozens of conferences and with many organizations, including Digital Marketing World Forum, SXSW, PRSA, PRSSA, ANA, Youth Marketing Summit, Brand Film Festival, and many others. In 2015, Keith expanded his PR, marketing, community relations, and sales experience to include the role of a non-profit founder and leader when he formed the Autism MVP Foundation. The all-volunteer non-profit, which was inspired by Keith’s son and the educators and therapists who have helped make a difference in his family’s life, is dedicated to increasing the number and quality of autism-focused educators. The foundation’s programs include a groundbreaking training program for teachers and paraprofessionals, and a scholarship initiative for graduate students who are committed to pursuing a career to improve educational, social and life skill outcomes for individuals who have autism. Both programs are currently affiliated with Monmouth University. His experience working with universities also includes more than 10 years of experience as an adjunct faculty member. He has taught sports PR and marketing classes to graduate and undergraduate students at Virginia Commonwealth University, Virginia State University, Utah Valley University and the University of Phoenix. Keith is a proud, two-time graduate of Temple University where he sharpened his writing skills as an undergraduate journalism major. Three years after graduating and while working full-time for the Philadelphia 76ers, he returned to Temple and later received his M.Ed. in sports administration and recreation. Keith lives in New Jersey with his wife Donna and their son, Gavin. When he's not cheering on his favorite Philadelphia sports teams, including his beloved Temple Owls, he can be found playing golf, cooking and spending time with his family on the New Jersey beaches.